A package of 10 pcs. costs 691 USD. 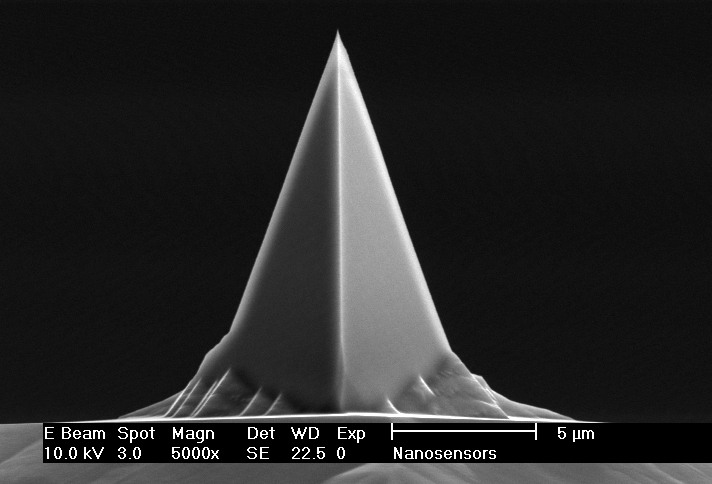 The NANOSENSORS™ PPP-LM-MFMR AFM probe is designed for magnetic force microscopy with reduced disturbance of the magnetic sample by the tip and enhanced lateral resolution – compared to the standard PPP-MFMR probe. 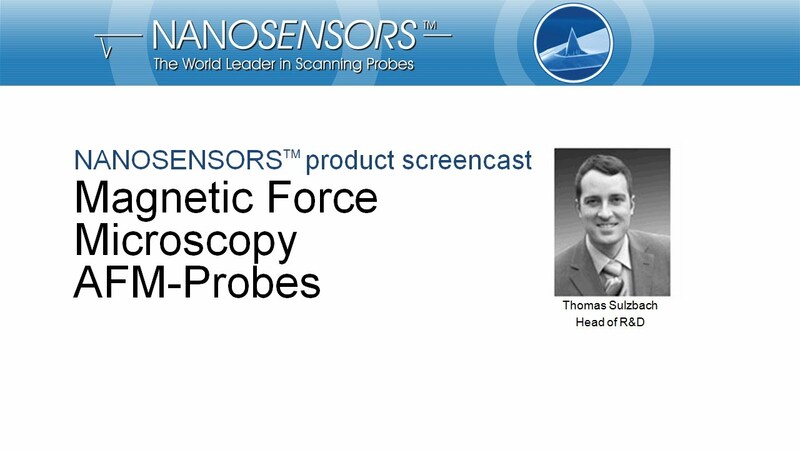 The force constant of this probe type is specially tailored for magnetic force microscopy yielding high force sensitivity while simultaneously enabling tapping mode and lift mode operation. The hardmagnetic coating on the tip is characterized by a coercivity of app. 250 Oe and a remanence magnetization of app. 150 emu/cm3 (these values were determined on a flat surface). As both coatings are almost stress-free the bending of the cantilever due to stress is less than 3.5% of the cantilever length. For enhanced signal strength the magnetization of the tip by means of a strong permanent magnet prior to the measurement is recommended.